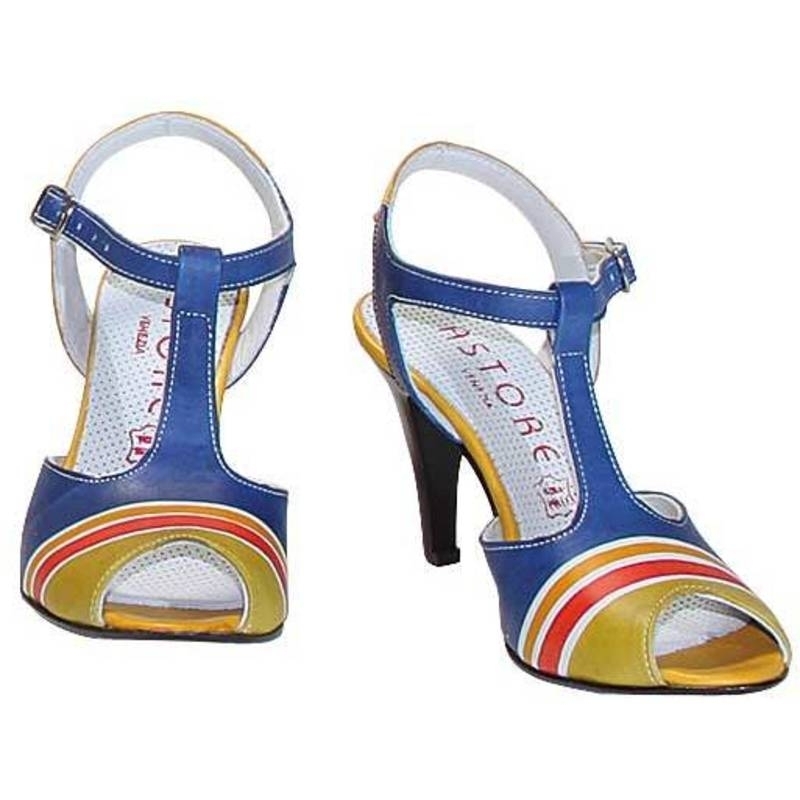 Natural leather sandals with ankle straps and flat heels, hand painted. Ideal for any occasion. Match them to your Acquerello handbag! Colors blue green red and yellow and pattern geometrical.